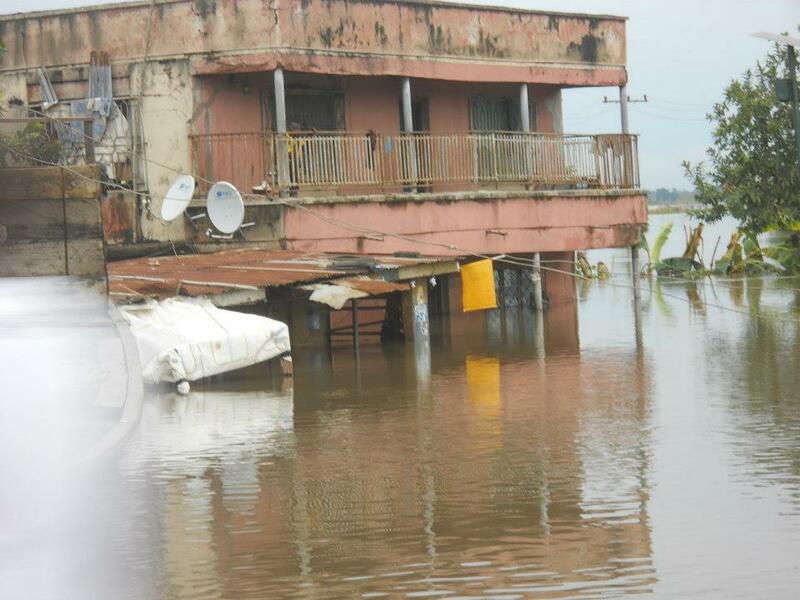 The lower floor of a residential structure in Odekpe, Ogbaru LGA (Anambra State) is under water. Photo by Odekpe-native Lucy Mbanefo. For the past six weeks, I’ve been devouring news of the flooding in Nigeria. 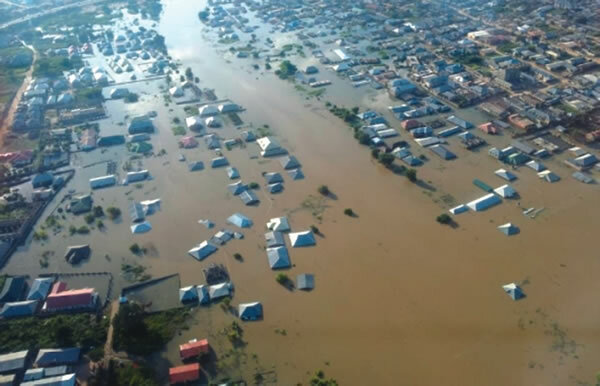 My hometown in Nigeria’s Ogbaru Local Government Area (LGA) in Anambra State was one of the hardest hit by floods described as the worst the country has experienced in that last 50 years. 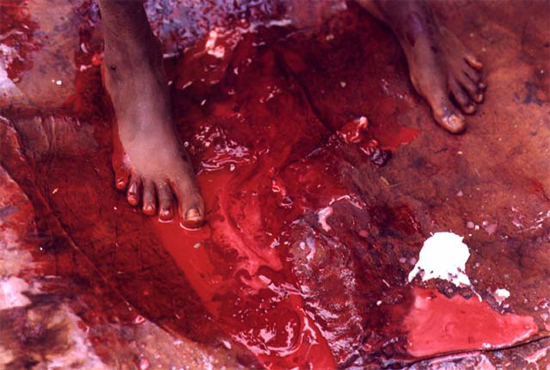 In Ogbaru, entire communities were submerged…engulfed by River Niger (as it is commonly referred to in Nigeria). 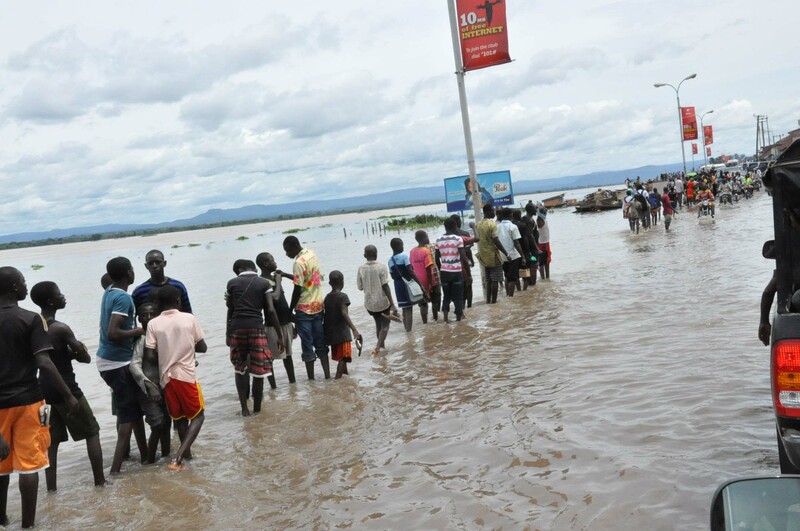 In Lokoja, the capital of Kogi state, the flooding reached disastrous levels at the confluence of the Niger and Benue rivers, where residents have been evacuating since July. 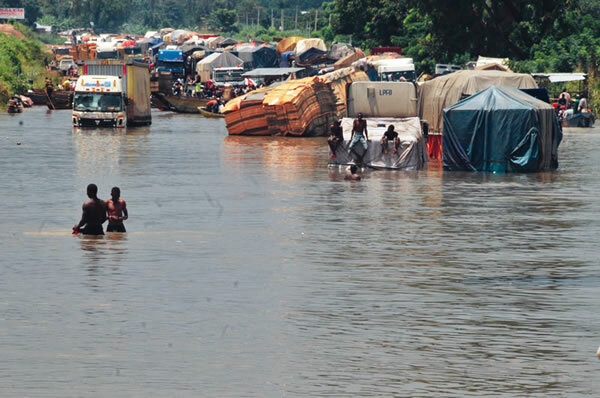 The flooding, according to a November 5th announcement from Nigeria’s National Emergency Management Agency (NEMA), has displaced more than two million Nigerians. 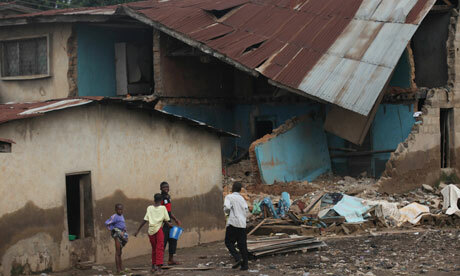 The agency also blamed heavy rains for the death of more than 360 people. 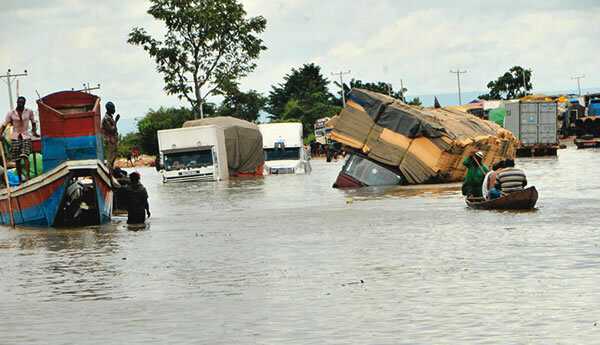 NEMA reported Kogi and Adamawa states suffered the worst casualties, with more than 18,000 people injured. 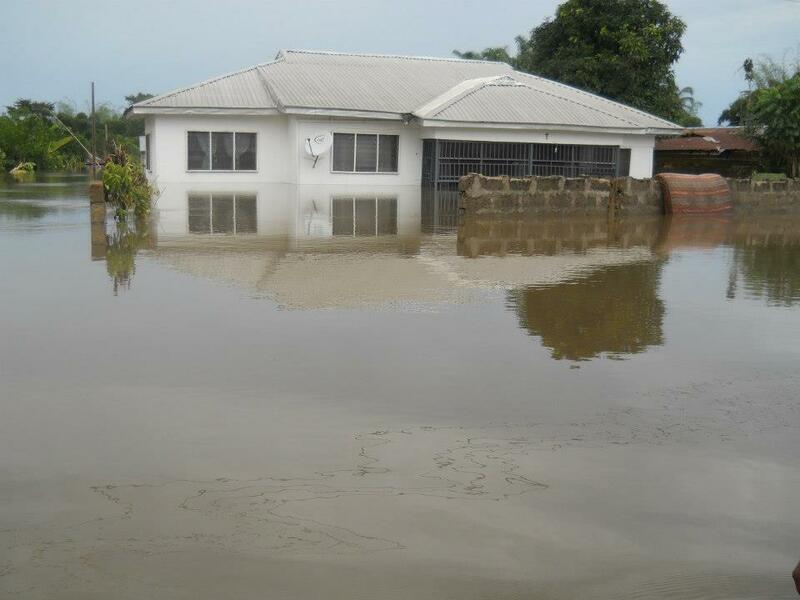 Water surrounds a structure in Odekpe, Ogbaru LGA (Anambra State). 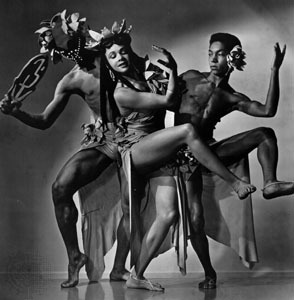 Photo by Odekpe-native Lucy Mbanefo. 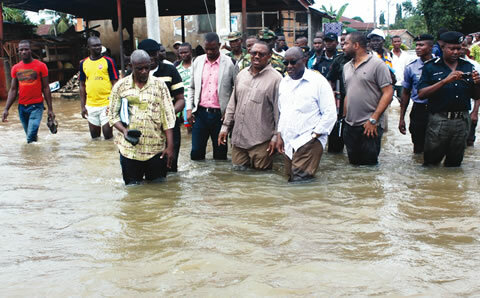 state Emergency Management Agency who said no community in Ogbaru was spared. 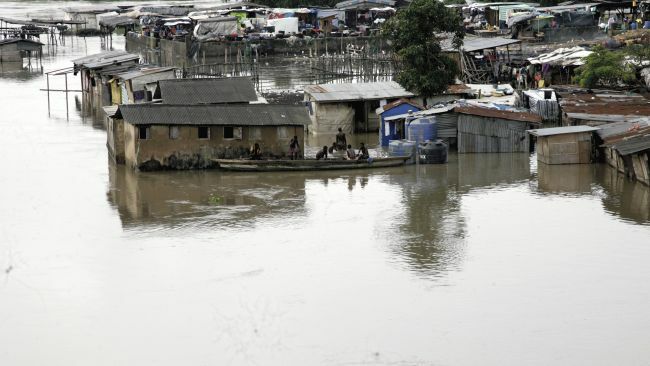 The story reported that 76,000 residents of the five local government areas hit by the flooding were evacuated from their homes to relief camps in Onitsha (Anambra’s commercial capital) and elsewhere. 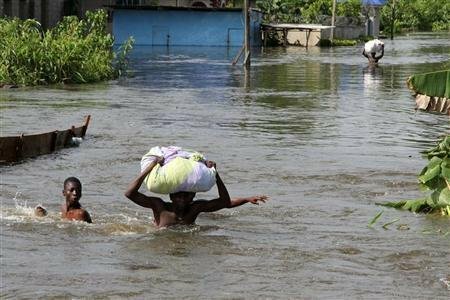 In an October 9th national broadcast, President Goodluck Jonathan announced an allocation of N17.6 billion to flood-ravaged states. According to Jonathan, states will receive N13.3 billion while federal government agencies will receive N4.3 billion. 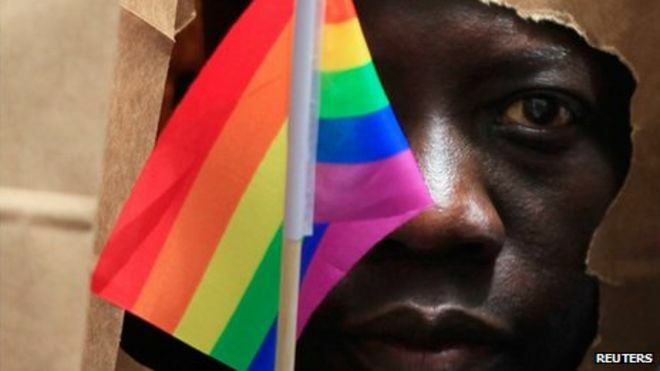 Vanguard reported that eight states, rated as the worst hit, will receive N500 million each: Bayelsa, Delta, Anambra, Kogi, Oyo, Adamawa, Benue and Plateau states. The remaining states, such as Abia, Rivers, Kwara, Katsina, Gombe, Zamfara, Yobe, Enugu, were categorized on the severity of the damage and will also receive funds. 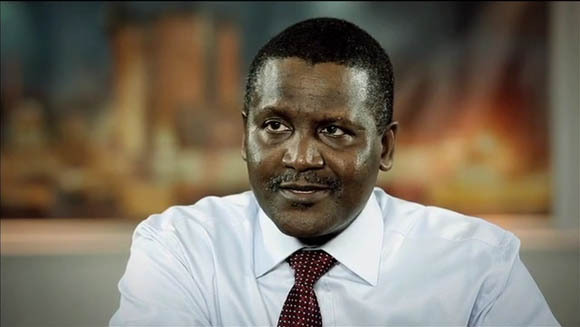 Co-chair of a newly created national flood relief committee, Alhaji Aliko Dangote, told reporters in Abuja that the targeted N100 billion will supplement the government’s efforts to alleviate the effects of the disaster. Jonathan created the 34-member National Committee on Flood Relief and Rehabilitation co-chaired by Africa’s richest person, Aliko Dangote and lawyer Olisa Agbakoba. 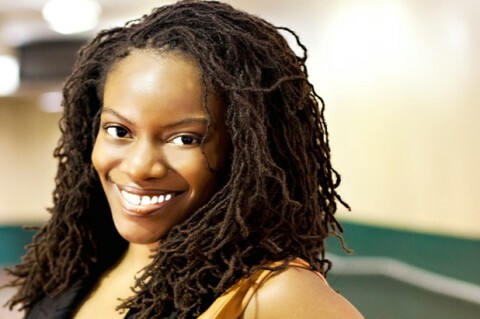 The committee comprises a who’s who of Nigeria’s professional elite, with members such as former Information and Communications Minister Frank Nweke Jr., oil tycoon and telecom entrepreneur Mike Adenuga, pioneering health professional Dora Akunyili, economist Tony Elumelu and many others. This week, the committee plans to hold a fundraiser dinner to encourage and receive donations for the relief effort. The committee’s target is to raise N100 billion. Perhaps, the most frustrating aspect is that much of the disaster could have been avoided. I am among those who believe the flooding would not have executed such destruction if the government had planned accordingly. Seasonal floods are a part of life for millions in Nigeria, but with notoriously poor drainage systems, a nearly non-existent insurance culture, lack of effective forecasting and localized planning, Nigerians remain susceptible to forces of nature and when it comes to flooding, many feel all they can do is pray against the worst. Think about the farmers. Millions of Nigerians rely on their own crop harvests as a means of livelihood. The dire situation led four farmers to commit suicide. Reuters reported that oil production has been disrupted as the flooding has devastated the country’s oil rich Niger Delta region. Furthermore, residents of the relief centers have not seemed to have found much relief. Occupants complain that the centers have no shower/bath accommodations, food provisions nor sleeping materials. 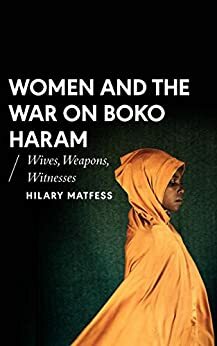 In addition to poor sanitation, insecurity has become a problem, as one source told ThisDay that “rapists and hoodlums” have invaded several camps. Take a look at this displacement camp in Odekpe, Ogbaru LGA in Anambra State.